Lucy M. Cyr of New Britain passed away peacefully on Thursday, January 10, 2019. Born in Floridia in the Province of Sicily, Italy to the late Santo and Josephine Cannata. Lucy came to America with her family at the age of 7. Anyone that knew Lucy knew that she was quite the talker. Her dementia eventually made us long for the days that she would corner you in a room and talk your ear off about anything and everything for hours. She was an avid Skip-Bo player with three generations and cheated with every single one of them. Lucy was the hip grandma and always took pride in her style and figure. Lucy was a loving daughter, mother, grandmother, great-grandmother and aunt. Lucy was preceded in death by her husband of over 60 years Henry Cyr, Jr, her brother Pat Cannata, Sr., her brother in law Thomas Mazzarella, her sister Mille Mazzarella, her sister in law Esther Gregorie and nephews Pat Cannata, Jr. and Sebby Mazzarella. 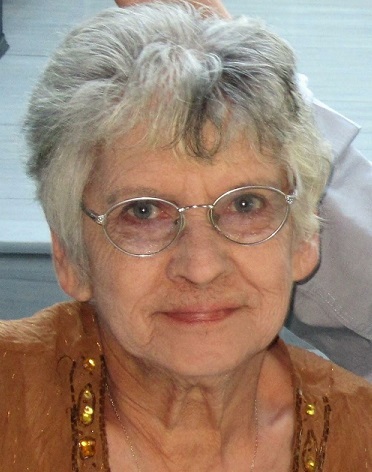 Lucy was survived by her son Donald Cyr of New Britain, her daughters Susan Griffin and her husband Tom of North Carolina, and Sandy Douglas and her husband Stephen of Maine; her grandchildren Jennifer Hutchins, Heather Howard, Kenneth Hutchins, Christopher Hleva and Tanya Philpot; her great grandchildren Ashley, Samantha, Grace, Brittany, Jacob, Nova, Isabella, Jocelyn, Madeline, Lydia, Jack and Olivia; a sister in law Cecile Lessard of Massachusetts; nieces Diane, Jeannine, Josie, and Wendy and other family and close friends. Friends and relatives are cordially invited to honor and remember Lucy by gathering for a visitation on Thursday, January 17, 2019 from 9:30 a.m. – 11:30 am at the Luddy-Peterson Funeral Home, 205 S. Main St., New Britain, immediately followed by burial at St. Mary Cemetery, 1141 Stanley St., New Britain.